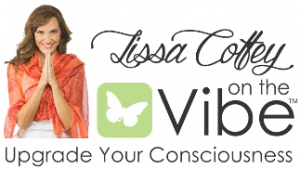 I am so honored to be a part of Lissa’s team of spreading ancient wisdom for our modern life! For over a year I’ve been writing a nutrition and food article every week, so choosing a great starting blog for Lissa’s site was hard for me to narrow down– or should I write something completely new? Then POW! Out popped this baby– no need to write something new because the past has truly proven it’s potency in many ways. This article came from the definition of health in the ayurvedic system and it’s one I share with all my clients as they create change in their kitchens and their lives. Cheers to your health! I wanted to share a very beautiful and practical definition of what “healthy” is. It is not a one-sized fits all diet, being fanatical about your weight and appearance to the world, or pretending that everything is fine when it’s not. In order to see any of your practices which are throwing you off balance, break up your patterns. If you never eat breakfast, start. If you stay up late every night of the week go to bed and hour earlier. Shake yourself up enough times and you will honestly see what your body needs to be healthy. Deep down you know what habits, patterns, environments, and foods your body needs in order to be healthy. You really do, and never let those voices inside let you believe otherwise. 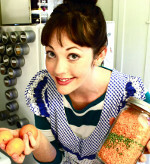 This week I figured a recipe would only get you a meal. These ideas might give you a whole lifetime of healthy. Start looking inward.